GWH Services provides a a full range of landscaping services from initial design, through to planting and even electrical work. Hover your mouse over the images below to read about our services. 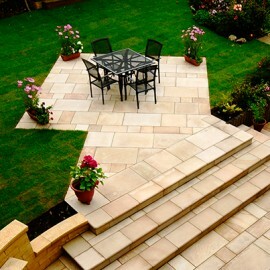 Please feel free to give us a call on 01773 605372 to discuss your wish list for your new outdoor area. Let GWH use their many years of experience to design you a beautiful outdoor space that will enhance your home for many years to come. Before proposing any design, we consult with the client to understand their requirements, we review the actual site and take the style of the property and garden into consideration. Our design proposals are then discussed with the client along with the opportunity to view samples of suggested materials. Before any work starts on site, we agree all elements of the design with the client. 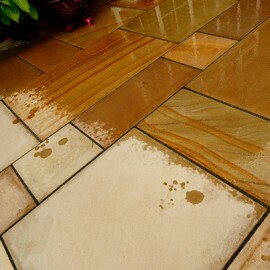 Once the design is agreed, we can order materials and plan a start date for the work. GWH are fully experienced in coordinating any additional trades involved in your project and will take the hassle out of the work by managing the whole project for you ensuring that each contractor is only on site when required. The exciting part, work starts....every aspect of your project will be carefully planned to ensure all materials arrive in a timely fashion and that disruption to your home will be minimised. Please be aware that any major works are in effect, a building site, we will however keep a tidy site, cleaning down at the end of each day. Materials, wherever possible will only arrive as they are needed and our friendly and polite team will make the whole project run smoothly from start to end. 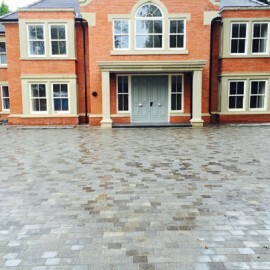 From a one car driveway to a large sweeping drive, no project is too large or small for GWH. 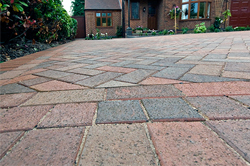 Driveways can be designed in a variety of colours, styles, designs and materials. The only limitation is your imagination! 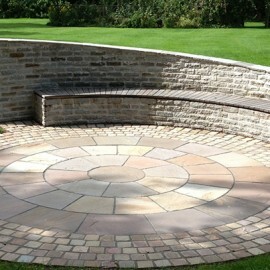 GWH can design an outdoor space that will become your favourite place to escape to and relax. Our patio design will compliment the style and design of your house and will provide a space that will work for how you and your family want to use the space. A tranquil area to relax by a pond, a children's play area, lush planting or just a simple patio from where to catch the afternoon sun, we can design to your exact requirements. 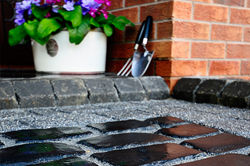 No matter how small, a beautifully designed walkway from gate to door will enhance the kerb appeal of your home. 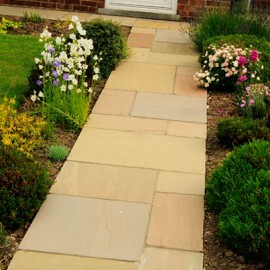 A well designed walk way also provides a focal point to your garden, giving shape to borders and planting areas. 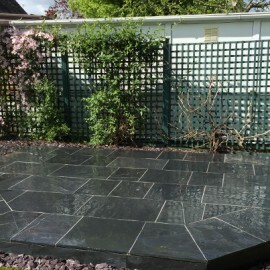 GWH can design and build any aspect of hard landscaping for your home or business including patios, steps, walling, driveways, retaining walls, decking and raised borders to name a few. We are experienced at working on any type of site from a simple level area to steeply sloping sites with draining issues. 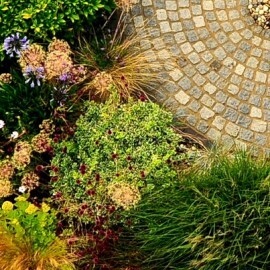 A good planting scheme will add the finishing touches to any patio or driveway and will mature over time to further enhance your property. GWH are more than happy to design and complete your plating scheme as part of the overall project. 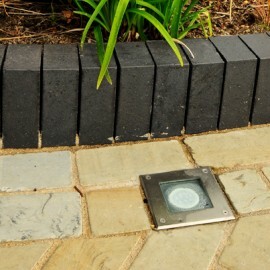 Garden lights are not only functional, they add a whole new dimension to an area after dark by highlighting key areas. 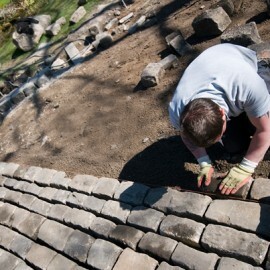 For added security and safety, we can also install security lights, driveway lights or spotlights to highlight steps. GWH provide safe electrical service all to latest standards. 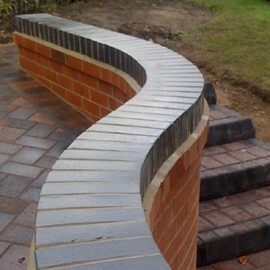 GWH are expert in all aspect of garden wall construction from decorative walls to raised borders and retaining walls. If your garden is on a slope, then a retaining wall can provide seating and planting areas or a flat area to park a car. 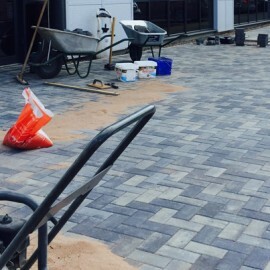 When building your new patio, walkway or driveway, GWH can seal the area to protect it from the elements and preserve it's natural beauty. We can also advise you on how to look after the area in both hot weather and cold winters to make sure you always get the best out of your investment. Please feel free to call us on 01773 605372 to discuss your ideas. We are more than happy to visit your property and provide you with design ideas and a no obligation quote.